The Cassini spacecraft surveys Saturn's outstretched ring system in the infrared from a vantage point high above the planet's northern latitudes. Nearly the full expanse of the main rings is visible here -- from the C ring to the outer edge of the A ring (in the upper left corner). Ring shadows are visible on the planet at lower left, and two large storms swirl near center. This view looks toward the unilluminated side of the rings from about 52 degrees above the ringplane. 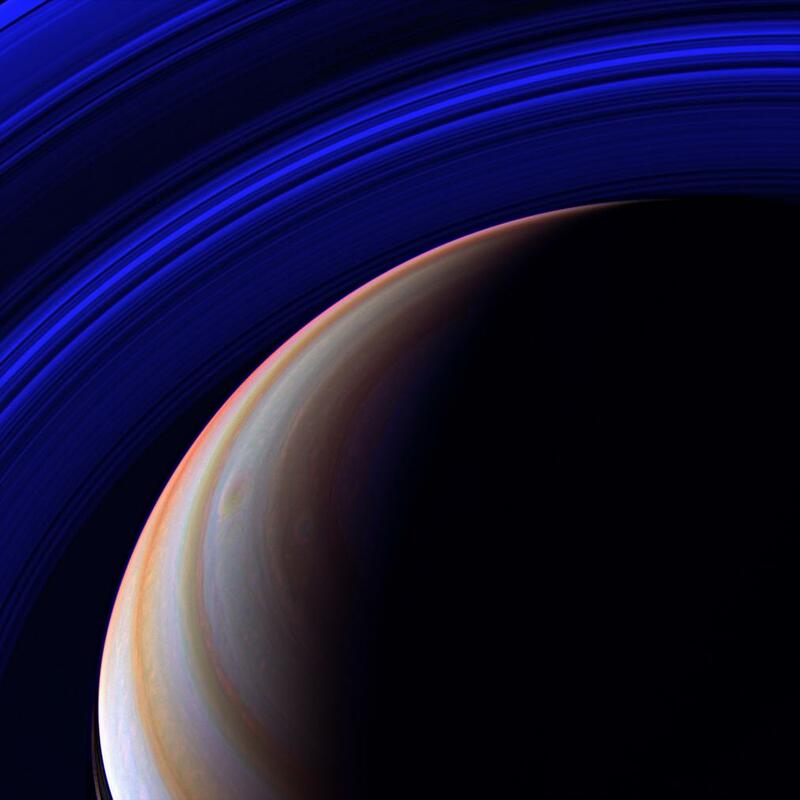 The image was taken with the Cassini spacecraft wide-angle camera using a combination of spectral filters sensitive to wavelengths of infrared light centered at 752 (red channel), 890 (blue channel) and 728 (green channel) nanometers. The view was acquired on April 5, 2007 at a distance of approximately 1.4 million kilometers (900,000 miles) from Saturn. Image scale is 81 kilometers (51 miles) per pixel.